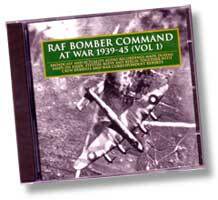 Air Raids, Doodle Bugs, Wartime Broadcasts or Churchill's Speeches its all here in a selection of CDs. Broadcast and actuality audio recordings made during raids on Essen, Stettin, Kleve and Berlin, together with crew debriefs and war correspondent reports. A selection of rare and astonishing recordings largely unheard for more than sixty years. Tracklist: Target for Tonight March (1.11), address by Air Marshall Sir Arthur Harris 1943 (1.36), Dortmund-Ems Canal raid 8/1940 (3.59), Essen raid 4/1943 (3.36), Stettin raid 4/1943 (3.41), at a Lancaster bomber station 1944 (5.59), Berlin raid 9/1943 (30.45), Berlin raid 12/1943 (17.25), Kleve raid 2/1945 (5.30), Dresden raid 2/1945 (2.41). 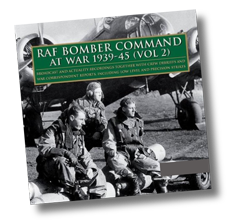 While Volume 1 in this series mainly comprises actuality recordings made by intercom during raids by heavy bombers over Germany in 1943/45, the scope of Volume 2 has been extended to include accounts of early raids during 1940/42, operations conducted under the aegis of Coastal Command, and low-level precision strikes by Mosquito aircraft. Tracklist: Blenheim Destroys U-boat (1940), Raid on Danzig (1940), Raid on Munich (1940), Wellington Bombs Kiel (1941), Roving Patrol By Hampdens (1942), Augsburg - Lancaster VC (1942), Nightingales & Bombers (1943), 617 Squadron - Dambusters (1943), Stirling Loses Turret & Ditches (1943), Dortmund Raid - Stirling Base (1943), Mosquito Raid - Amiens (1944), Normandy Ground Support (1944), Mosquito Base/Osnabruck Raid (1944), Work of Rear Gunner (1944), Air Gunner Debrief (1944), Mosquito Raid - Aarhus (1944), Damaged Beaufighter (1944), An Airman's Letter to his Mother (1940). 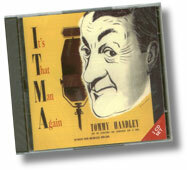 Tommy Handley and the characters who surrounded him in ITMA. Recorded from broadcasts 1939-1949.